Please join us next Wednesday, February 20th for a Staff Council open meeting at 9:00 AM in the Grille Conference Room. Our topic this month will be Wellness. Our guests include: Rebecca Schubert, MS RDN NBC-HWC, the GMHEC Employee Wellbeing Program Coordinator and Ellen Blackmer McKay, Program Coordinator from the Charles P. Scott Center for Spiritual and Religious Life. Rebecca and Ellen will provide us with an overview of current wellness opportunities available to all staff – both through GMHEC and the college. They will provide us with a Well-Being Committee report, and also share a preview of new and exciting forthcoming initiatives. This will also be an opportunity to hear from you – how do you create a healthy work-life balance? What support do you need to help create a healthy work-life balance? This entry was posted in Midd Blogosphere and tagged Events, Uncategorized on February 14, 2019 by Stacie Marshall. We hope you’ll join on us on this adventure and are confident that it will support you in your journey towards optimal well-being. 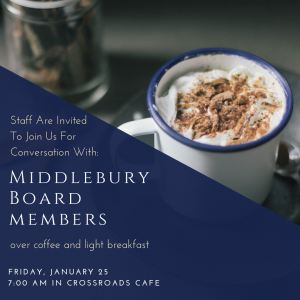 This entry was posted in Midd Blogosphere and tagged Events, GMHEC, Uncategorized, Wellness on January 15, 2019 by Stacie Marshall. This entry was posted in Midd Blogosphere and tagged Events, Trustees, Uncategorized on January 7, 2019 by Stacie Marshall. If you were unable to make our latest open forum with President Laurie Patton addressing all staff, the recording of the talk is here. As always, feel free to reach out to your district representative or comment below with any questions, comments, or concerns you may have. 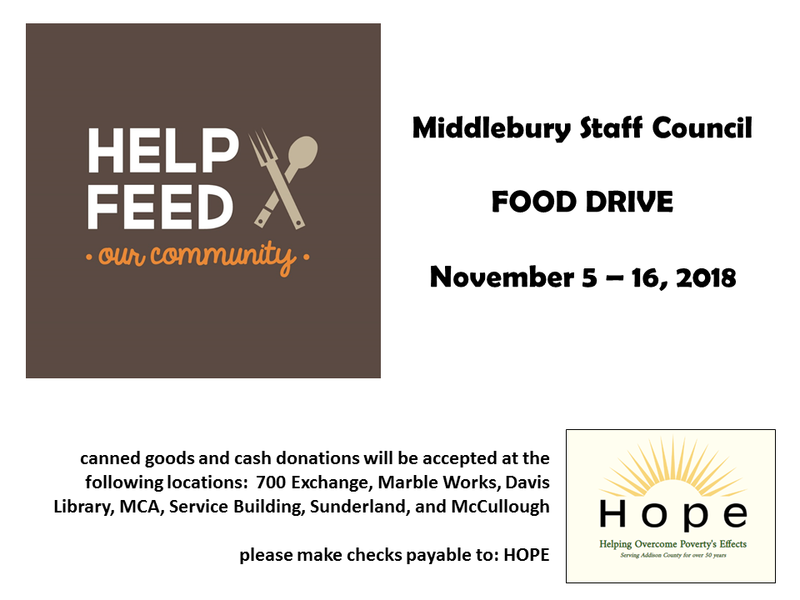 This entry was posted in Midd Blogosphere and tagged Events on November 14, 2018 by Tim Parsons. This entry was posted in Midd Blogosphere and tagged Events, Uncategorized on October 25, 2018 by Stacie Marshall. This entry was posted in Midd Blogosphere and tagged Events, Uncategorized on October 3, 2018 by Stacie Marshall. Thank you for joining us at our first Staff Council open forum last Wednesday, September 19th in Davis Library. We had a great turnout! Roughly 80 staff attended and many of you asked engaging questions related to workforce planning that resonated across campus. Staff Council quickly composed all your questions and comments and shared with SLG members and in response – we are offering our second forum on the same topic, next Wednesday. 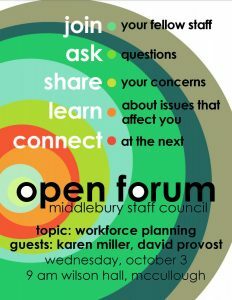 Karen Miller, VP for Human Resources and Risk and David Provost, Executive Vice President for Finance and Administration will join us Wednesday, October 3 at 9:00 am in Wilson Hall to answer these questions and provide updates on where we are in the process of workforce planning. Please come with questions. We hope you can join us. 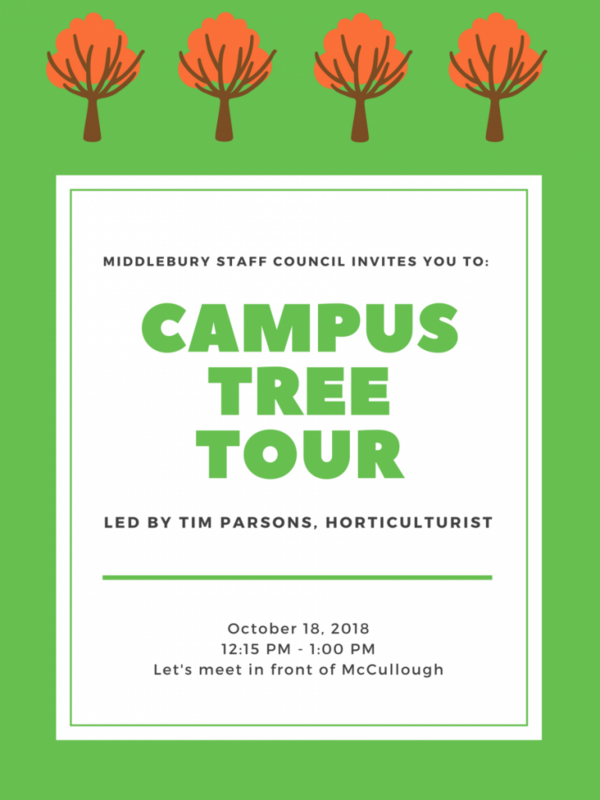 This entry was posted in Midd Blogosphere and tagged Events, Workforce Planning on September 26, 2018 by Tim Parsons.